Rick Yandrick is an astrophotographer putting together a 10" f5 Newtonian Astrograph. 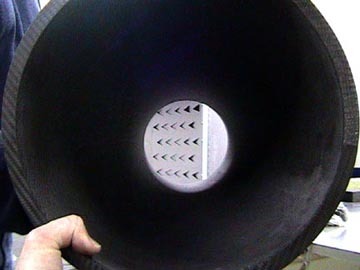 He purchased a 12" carbon fiber sandwiched cored OTA tube and a custom carbon fiber mirror cell. Rick happens to live less than one hour's drive from Dream's shop so he was able to visit and pick up his products personally. Click on the above Alberio or NGC7380 image to see larger images. 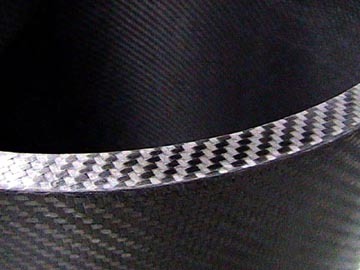 Carbon fiber was slightly less than 30% resin by weight of carbon fiber. Click here for a short 1.15MB video showing Rick throwing his tube in the air to help convey the low mass of this tube. 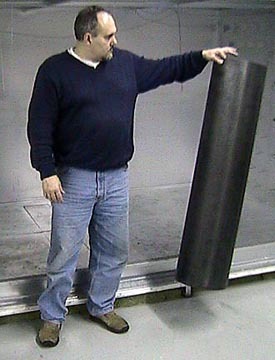 Although this tube weighs 6.4 lbs, it can take a 190 lb person standing on it without making a sound or noticeable deflection. Although this is a very crude test, the primary mirror on this telescope is only 10" in diameter. Rick used a 10" f5 RF Royce center post conical that weighs 7.0 lbs. 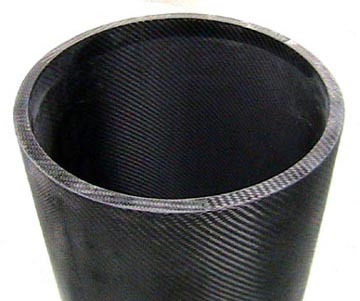 The inside of the OTA tube has a finely textured, matte surface.